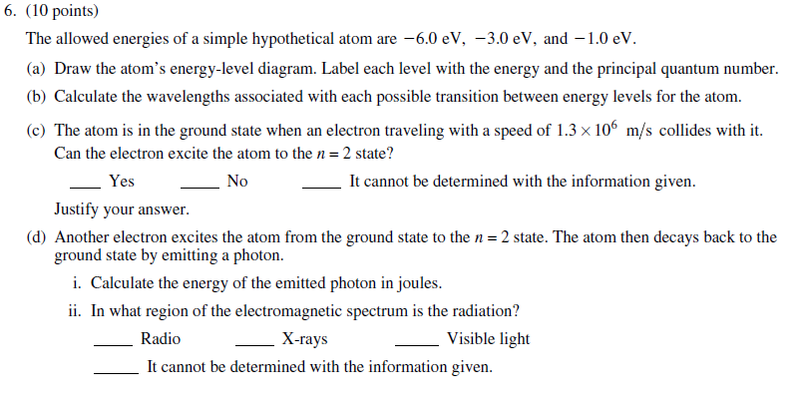 The last free response question of every AP physics exam since 2002 is on quantum mechanics. 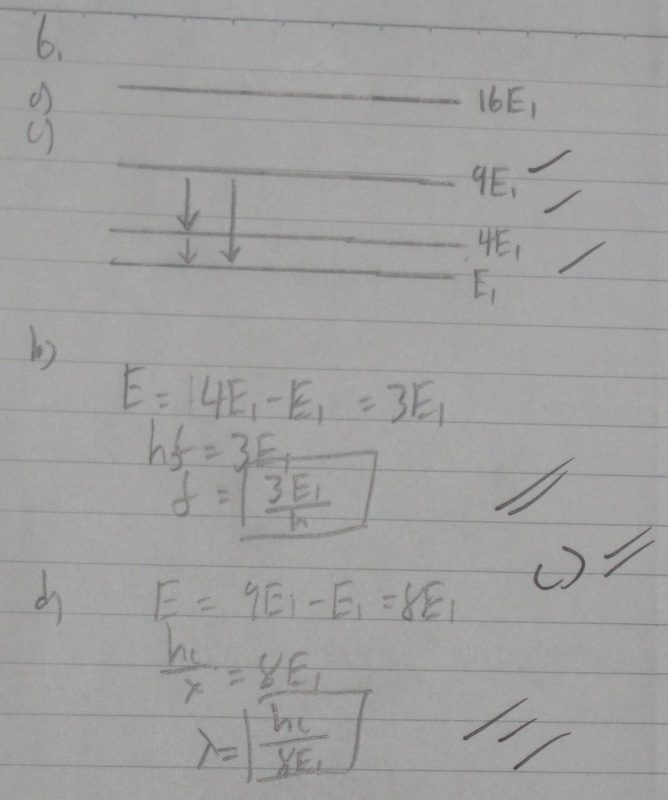 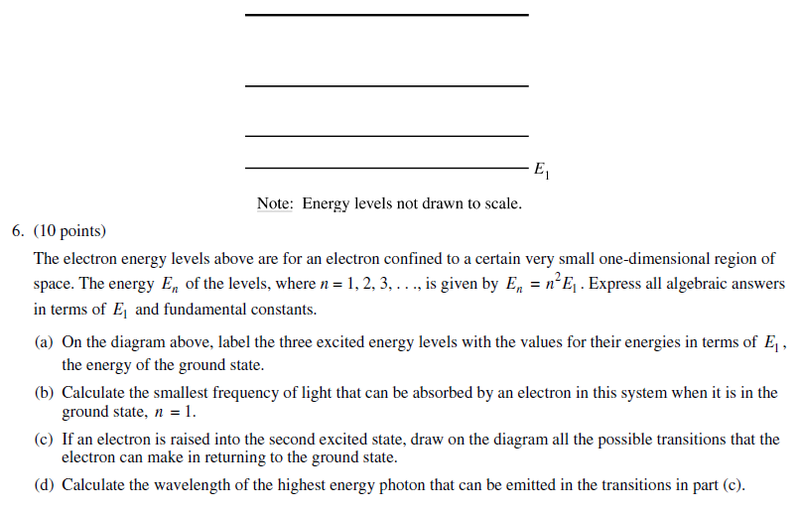 Remember to label energy level diagrams with n=1 and with the lowest energy at the bottom. 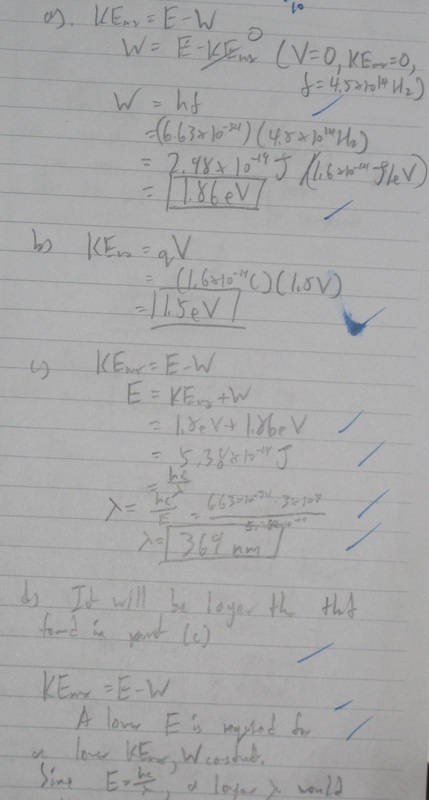 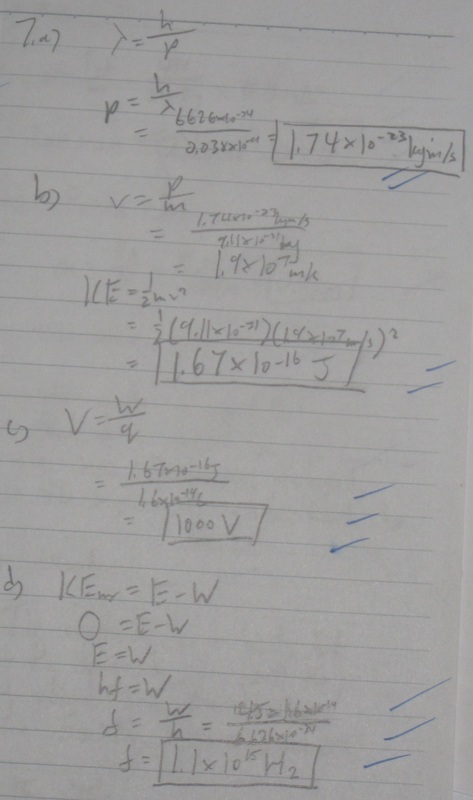 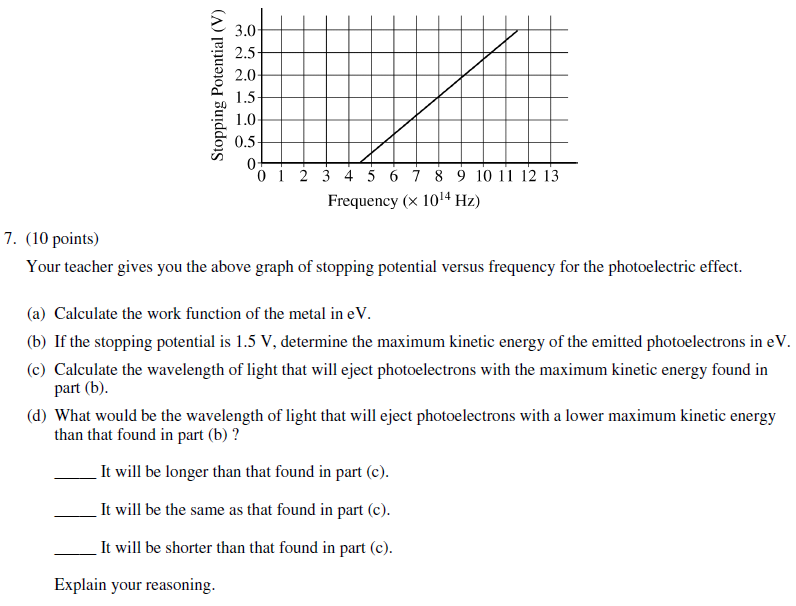 a) If a stopping potential of 0V is required, then that means the electron has no KE, thus the energy of the colliding photon is completely used on the work function.